If you own a holiday home and want to be sure that the house is well prepared for the guests My Magic Cleaners provide full holiday home cleaning service. 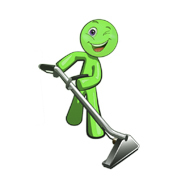 By using us you can rest assured that you are in safe hands and your property will be cleaned by the highest cleaning standards. We offer a service which is tailored for your needs so you don’t need to worry about washing, drying and ironing the bed sets and the bath towels because we can do it for you.